EMERGENSEA Dubrovnik has received another award for its outstanding work and effort. We remind you that on a sad day on April 25, 2017, in the late evening hours, an unprecedented tragedy occurred in the Koločep Kanal between the Pakljena (island of Šipan) and Brsečine bay. When the "Danče" boat and the boat 690 DB, along with the two rescued persons, unfortunately died four. While three people are missing and today. The Ministry of the Sea, Transport and Infrastructure thanked the EmergenSea with Letter of Thanks in Dubrovnik. On that day, they devoted themselves to the search and rescue of human life after one of the most serious maritime accidents in the history of the Republic of Croatia. Minister Oleg Butković expressed his sincere gratitude for his unselfish and courageous dedication to the risk of his life and material technical resources in an effort to find and rescue the injured person during this demanding and long-lasting action. In the following, the letter is thanked for showing by the example of his example and proven that there are still people of great hearts who for the sake of the good and the salvation of their close relatives are exposed to their own lives. 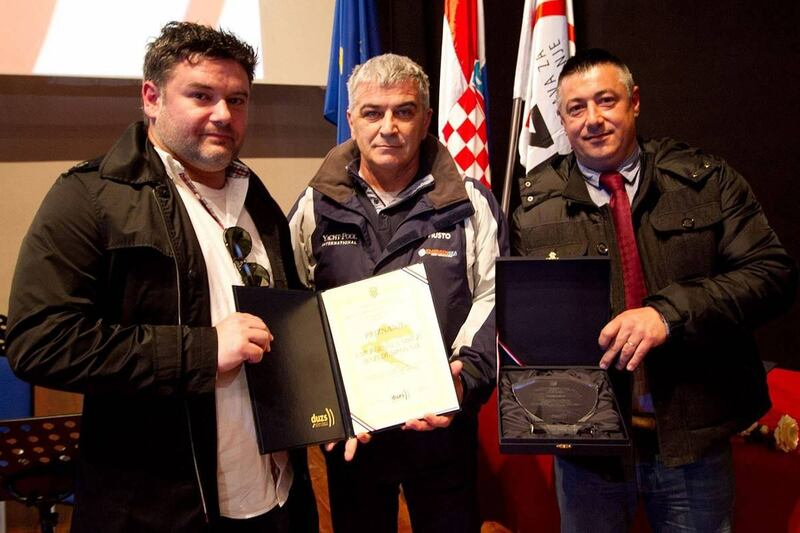 Tomislav Margaretić and Toni Knego, skaters of the ES base in Dubrovnik, after 2015, when they were the most popular duo of EmergenSea networks (nominations for the Pearl Ribbon Vjesnik 2015, the award for the most popular Dubrovnik man and the prestigious DUZS "Crystal Plaque" prize for a venture of the year) they have again received a great prize worth a mention.